The family Colubridae is the most diverse family of snakes with almost 2,000 species, though this group is non-monophyletic (that is, in evolutionary terms, the group does not contain all descendants of the most recent common ancestral species). Thus, this family requires a great deal of work by taxonomists to sort out the natural groups and determine relationships among them. 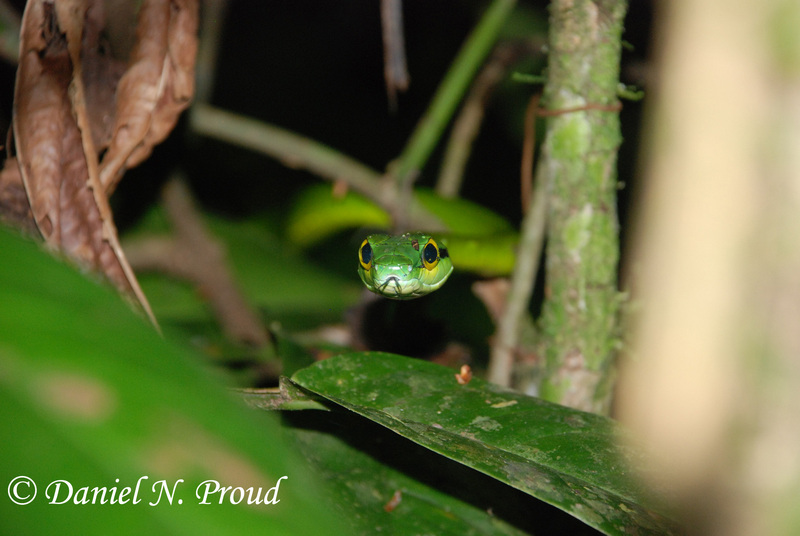 Leptophis is a genus of colubrid snakes, commonly called parrot snakes. Parrot snakes are long, slender, bright green snakes found in the tropical forests of Central and South America. 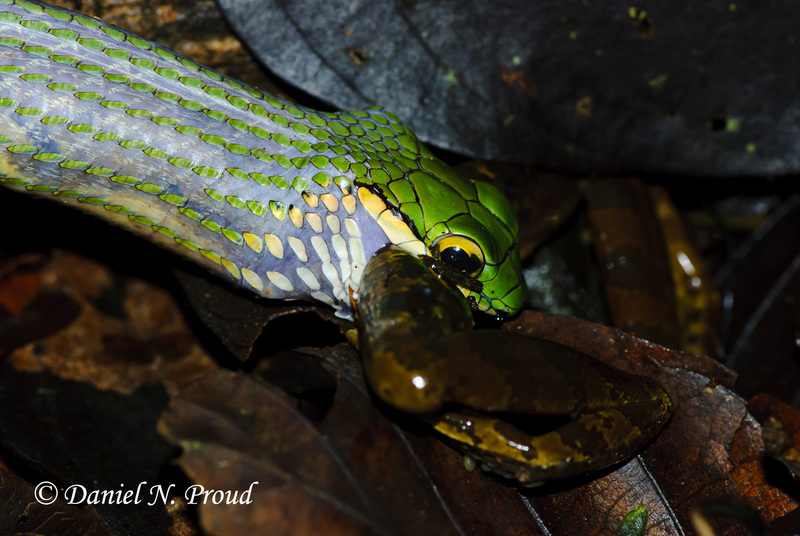 The parrot snake shown in the first two images below, Leptophis ahaetulla (Colubridae), had just found itself a hearty meal. Despite having obviously lost this battle, the frog did not give up the fight so easily, as it kicked and squirmed until the very end. If you look at the expanded body of the snake you can see just how large this frog was – the snake was more than 4 feet in total length. 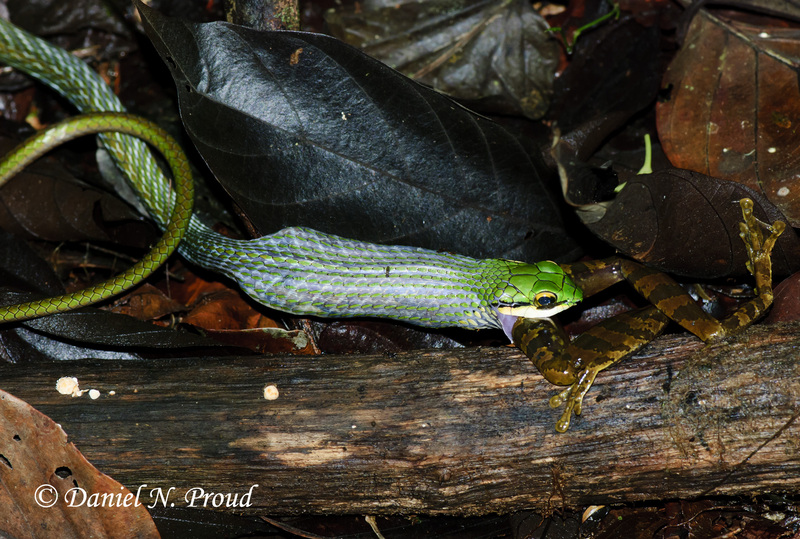 Notice that the skin stretches as the snake swallows the frog – the blue coloration is the skin beneath the green scales. 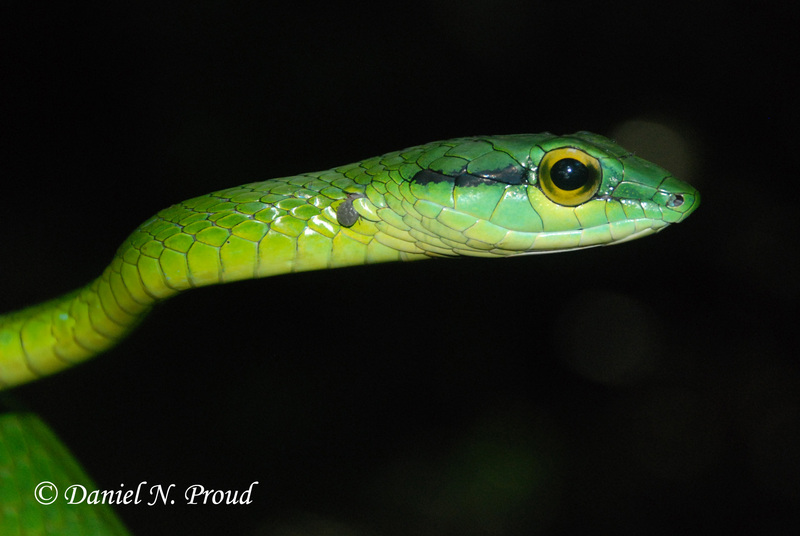 The next three photos are a second species of parrot snake, Leptophis depressirostris, barely distinguishable from the species shown above except for one scale between the eye and the nostril (just learned this interesting fact today from a friend, Ethan). 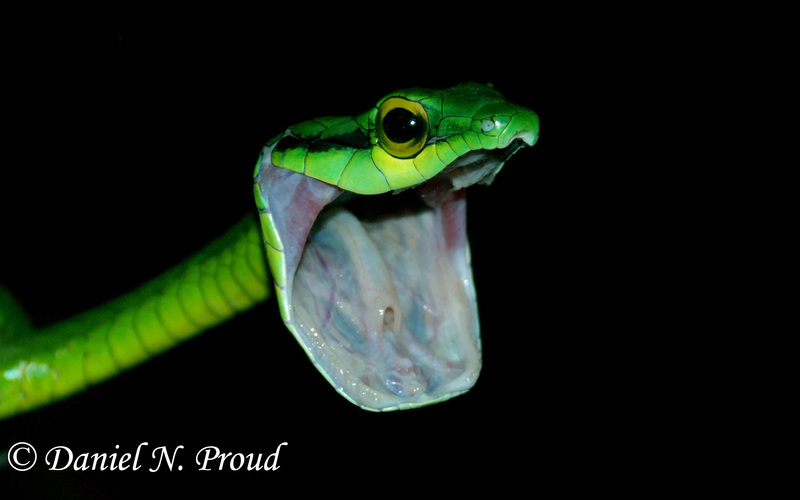 In the picture below, this parrot snake is demonstrating its incredible and intimidating defensive display. Below you can see the body of a large tick, full of blood, attached under a scale on the snake’s neck.